I took these pics on my iPhone and used Instagram for a little fun. That’s why they are a bit fancier than usual. 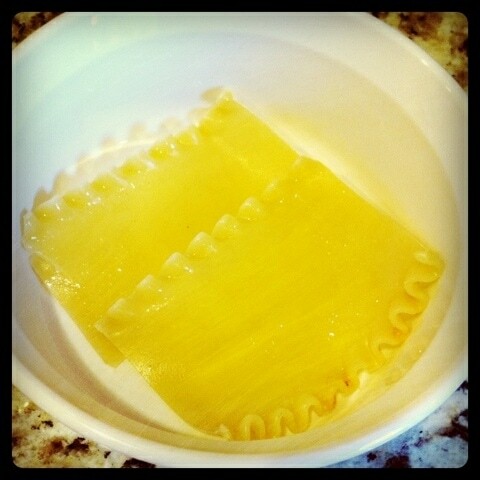 OK – so I had the intention of making mini lasagna using wonton wrappers. Slight problem – NO STORES CARRY WONTON WRAPPERS. I was like an animal trying to find this darn item, eventually I gave up. Here is what I came up with. There’s an extra step – but it was really no big deal. Coat the pan in olive oil. Add the garlic and onions and cook for 5 minutes. 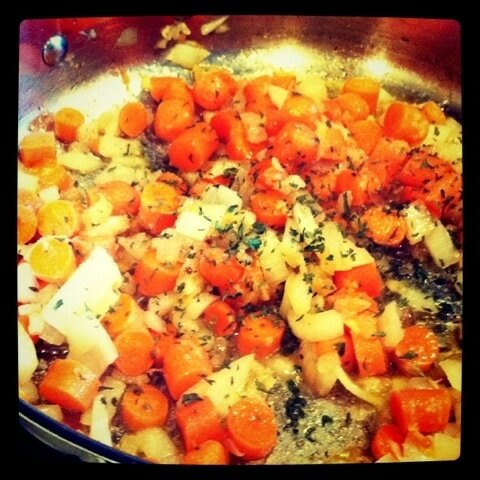 Then add the carrots, oregano, salt and pepper. Cover and cook for about 7 minutes – we need to soften those carrots. While the carrots are cooking, brown your meat. Cook it through. Add some salt and oil to the pan to get it going. I used a lot of pots and pans for this one… Still doing dishes this morning. But it was worth it. Once the meat is browned, drain it. I should have taken a picture of the sauce pan but I didn’t. Going to have to walk you through it. After the carrots cooked for several minutes, add the jar and the extra can of tomato sauce. Salt and pepper again. 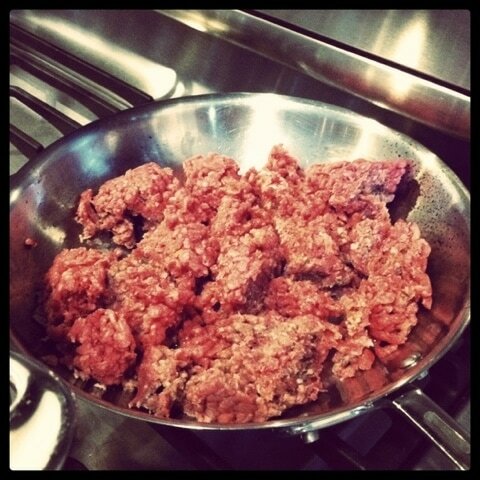 Then add the drained cooked beef. Stir together and cover. Simmer until we are ready to prepare lasagna. 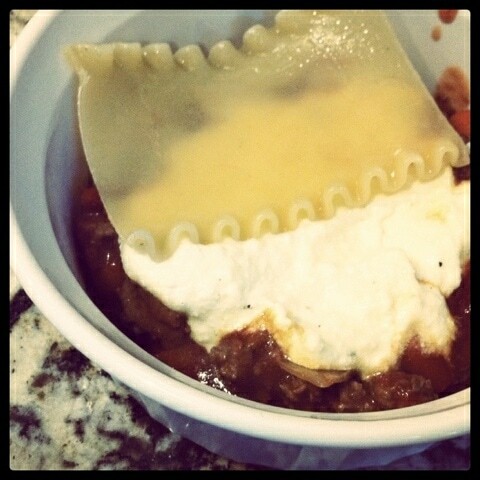 Meanwhile, boil water and then put the Barilla lasagna noodles in for JUST 4-5 minutes. Do not cook it through because we are going to be baking it all. Trust me – 4 to 5 minutes is enough. Drain the pasta and put it back in the pot. Add some oil and stir it around so they don’t stick together. 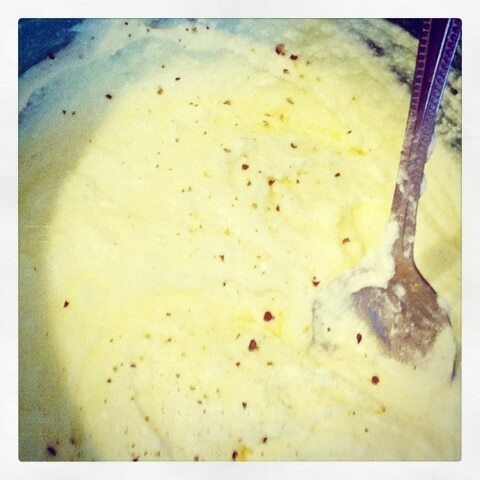 In ANOTHER BOWL (oh my goodness) whip together the ricotta cheese, 2 eggs, salt and pepper. Now it’s time for the preparation. 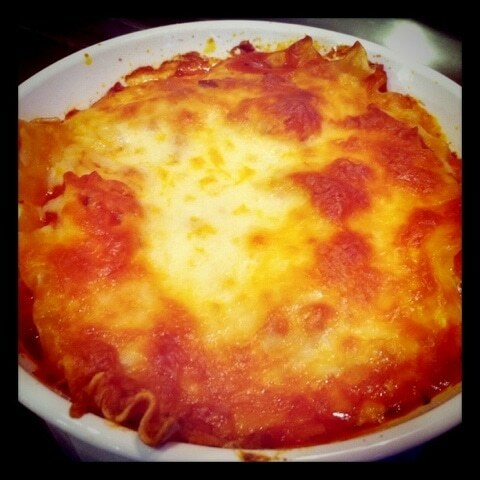 I like the Barilla lasagna noodles because they are thin. 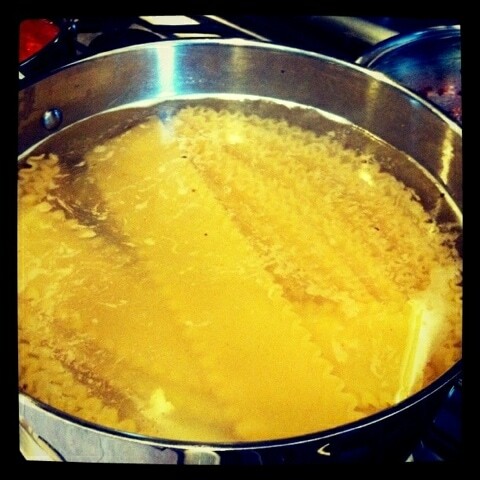 I cut each noodle into three parts. Each layer will take 2 of these pieces. 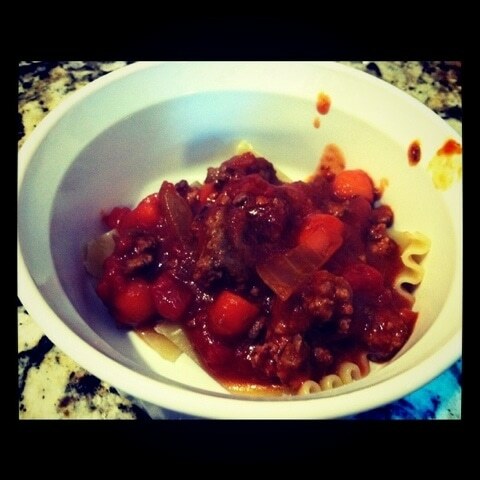 After the noodle, add the meat/sauce mixture. 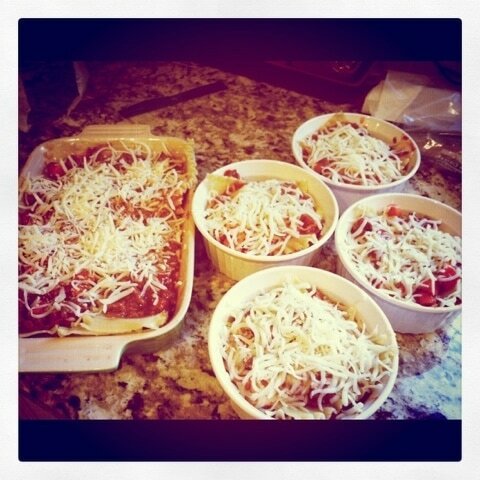 After the meat, put the ricotta and then repeat to complete a second layer. Bake all together. I put the 4 individual bowls on a tray (because I was looking for ANOTHER THING TO CLEAN) and placed it in the oven. Cook it uncovered for 25 minutes or until the cheese is as brown as you’d like. Do you want to see more recipes from ‘Inside the Kitchen’? Click here. That’s a fun way to serve it. Never would have thought about it. What was marinara sauce used for??? it’s in the ingredients, but i don’t see it used in preparation. Just curious if i need it at all? Sorry, when you said add the jar and extra can of tomatoes i thought we are talking about tomatoes only, the jar was of the marinara sauce. Pardon me, should’ve read it few times before asking !! !